A family tradition – and one that has been perpetuated for more than 300 years going all the way back to 1702 when Timmermans started brewing Gueuze Lambic in Itterbeek just a few kilometres from the centre of Brussels. At the time, the brewery was known under the name of ‘Brasserie de la Taupe’. Today, Timmermans that has been part of the ‘Finest Beer Selection’ of Anthony Martin since 1993, has succeeded in retaining its authenticity and expertise while simultaneously benefiting from the unique expertise of ‘Martin’s Finest Beers Selection’. 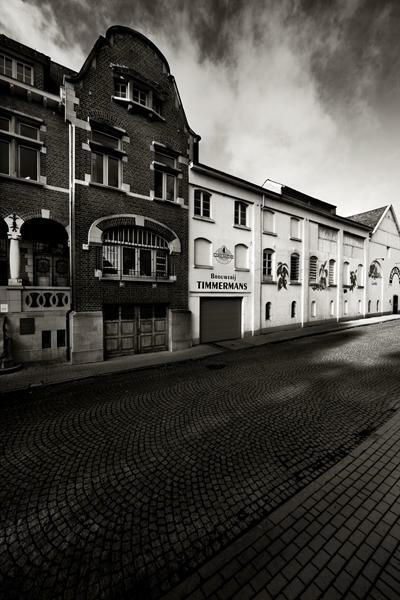 Timmermans® has been brewing in Itterbeek for the last 300 years, ever since 1702. A few miles from the centre of Brussels, it was then known as “The Mole brewery”. Owned by Jacobus Walravens, it was also a farm, an orchard, a café and a malt-house. In the early 20th century, the sixth generation, Paul Van Cutsem, son-in-law of Frans Timmermans (5th generation), changed the name to “The Timmermans® Brewery”. « Bourgogne des Flandres® » was born in Bruges at the beginning of the 20th century. For seven generations, the Van Houtryve family has been keeping an eye on the unique and very old brewing process : “infusion of lambic”. In this process, a selection of best lambic is mixed with high-fermentation ale. Bourgogne des Flandres® has now been brewed by Timmermans®since 1985. A member of Anthony Martin’s “Finest Beer selection®” since 1993, Timmermans® retains its authenticity and “savoir-faire” whilst enjoying membership of Martin’s unique selection of “Finest Beers”.